So, I've got a nice deck. Yeah, I know. "That's a weird thing to brag about, Brandon," you're saying. "What does that have to do with books?" But stick with me here. This deck? You'd almost say it's dang-near perfect. It's large, there's a great table and chairs and a wide umbrella, and it rests in the shade of a towering tree. It's the ideal spot to kick back in the summer, crack open something cold, and get acquainted with a good book. And nearly every spare minute I have, I'm doing just that. So now that summer has arrived, and that shady perch is once more a warm weather mainstay, I thought I'd share a few of the things on my reading list. THE HUNGER GAMES TRILOGY by Suzanne Collins: I'll be the first to admit, some of the books on this list are ones I've been hankering to read for some time. This past Christmas, I received the set of all three hardcovers, and they've been patiently sitting on my shelf, waiting for me. I polished off the first book in no time, and plan to do the same with the other two soon. 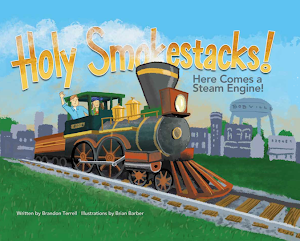 I can easily see why this is a popular and engaging series of books. And the fact that it reminds me of The Running Man (sans a flag-wearing Jesse Ventura and an evil Richard Dawson) makes it even more awesome. THE PASSAGE by Justin Cronin: Again, something I've been waiting to read for some time. Last summer, when I started my latest WIP, I purchased Passage as a reward for a completed manuscript. Two revised drafts later, the WIP is still just that. But I feel like I've earned some killer zombie action. FUN AND GAMES by Duane Swierczynski: Reading a Swierczy book is like getting an adrenaline shot to the heart, Thurman-style. 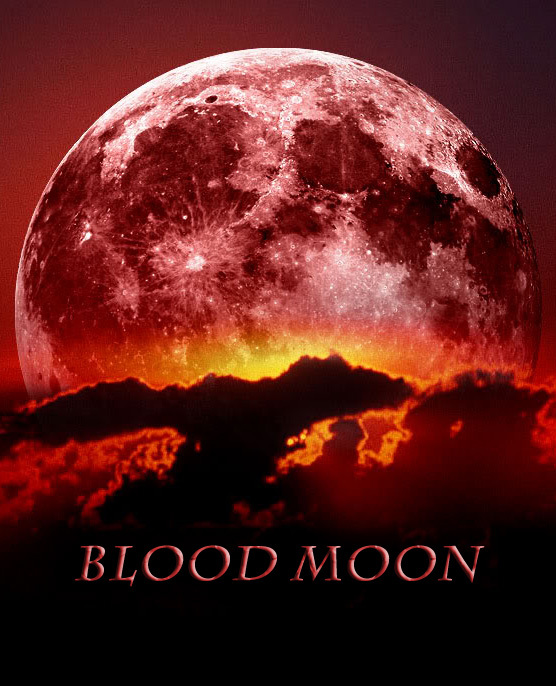 If you love fast-paced, smart action, definitely check him out. Games, about a group of hitmen who specialize in making deaths look like accidents, seems to be another jolt of action. It's almost like Eric Stoltz has already drawn an 'X' on my chest in Sharpie. BLOODY CRIMES by James Swanson: Swanson penned one of my favorite non-fiction reads, the amazing Manhunt, which follows two parallel storylines: the death of Abraham Lincoln, and the search for his elusive killer, John Wilkes Booth. Crimes, the story of Jefferson Davis and the funeral pageant of Lincoln's body, continues his captivating, heavily-researched narrative. BOSSYPANTS by Tina Fey: Let's go back five years or so. NBC was producing 2 shows about late night sketch shows. One had the name Aaron Sorkin attached to it; one was a sitcom with, of all people, The Shadow..I mean, Alec Baldwin. I'll admit, I thought the Sorkin/Matthew Perry drama had the legs to make it, and didn't put much faith in 30 Rock. Damn, I'm glad I was wrong. Tina Fey is like the prettiest girl in band class, the one you totally have a crush on, the one you know is not only way smarter than you, but that she wouldn't have time for Indiana Jones references. She's too busy being amazing. Nerd crush? You bet. 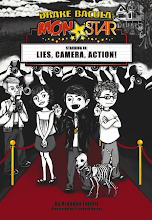 KILLING KATE by Julie Kramer: The fourth book in the witty and entertaining Riley Spartz series. Set in the good ol' Twin Cities, with the backdrop of local television reporting, the Spartz series is always smart, funny, and filled with twists. MISS PEREGRINE'S HOME FOR PECULIAR CHILDREN by Ransom Riggs: Sometimes, a book comes out of nowhere and you can't stop thinking about it. Last week, I had no clue what Home even was. Now, I'm obsessed with reading it. Weaving a story around existing...um, peculiar...photographs is an ingenious idea. Must. Get. Hands. On. This. Book. THE LEFTOVERS by Tom Perrotta: Perrotta excels at making the craft of writing effortless, and his natural tone made Little Children one of the best books I've read in a while, and cemented him as one of my favorite authors. The fun doesn't end when summer does, though. Fall is looking pretty mint as well, with a number of great books (many by talented Minnesota authors) hitting the shelves. 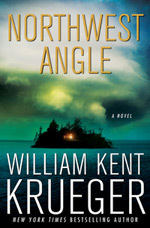 NORTHWEST ANGLE by William Kent Krueger: I've been a fan of Kent's since he visited the Barnes and Noble I worked at and graciously signed and chatted with me for my entire 15 (plus) minute break. The arrival of a new Cork O'Connor mystery is always met with eager anticipation in the Terrell home, and this is no exception. BROOKLYN, BURNING by Steve Brezenoff: I feel pretty lucky to have befriended a number of talented writers courtesy of the Interwebs, and Steve tops that list. His previous work, The Absolute Value of -1, is a fantastic book told from the perspective of each of the three main characters. Steve's ability of weave character and voice through out the narrative is an enviable trait. Be prepared, people. 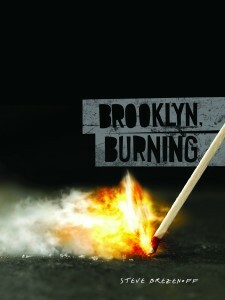 From what I've read, Burning is going to knock your proverbial socks off. 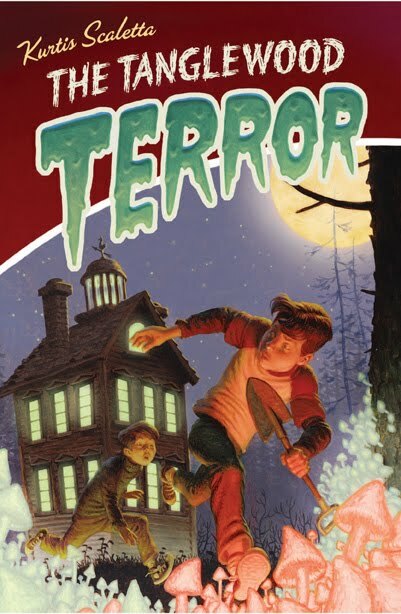 THE TANGLEWOOD TERROR by Kurtis Scaletta: You know how they say never judge a book by its cover? Well, they haven't seen this damn cover. How could you not pick up this book? The fact that Kurtis (another Minnesotan I've been fortunate enough to speak to on the Internet, where we grumble about the Twins or make fun of Steve's love of the Yankees) is a great storyteller. And if you love baseball, check out Mudville, Scaletta's novel about family, and the longest baseball game in history. THE MOSTLY TRUE STORY OF JACK by Kelly Barnhill: Yet another MN author I've been fortunate enough to discover online. Jack is Kelly's debut novel, about a boy who visits his family in Iowa, and discovers the townsfolk have been waiting a long time for him. I can't wait to get my hands on this magical, whimsical book. BIGGER THAN A BREADBOX by Laurel Synder: Speaking of magic...I've only recently discovered Snyder's work, but I'm thankful I have. Her novel Penny Dreadful was a charming book, and Breadbox - about a magical breadbox that delivers your wish, so long as it fits inside said box - is earning rave reviews. Last but not least...it's been about a year and a half (oh how time flies) since one of my favorite publishers, Hard Case Crime, has released a book. And this October, they're back with a vengeance. Included in the line-up of books by authors like Max Allan Collins, Donald Westlake, and Lawrence Block is this killer little novel called CHOKE HOLD by Christa Faust. So there you have it. That's what I'll be reading on my deck this summer and fall. Care to join me? There's enough shade for everyone!